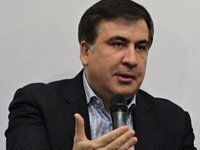 Leader of the New Forces Movement party, ex-President of Georgia Mikheil Saakashvili has said that he and his supporters will continue protests in order to remove President of Ukraine Petro Poroshenko from power. "Petro Oleksiyovych, you're messing with the wrong guy. I'll be fighting until the last profiteer is removed from power," he said in the hall of the Kyiv's Appeals Court, which ordered on Friday that Saakashvili be placed under house arrest at night time. Saakashvili said he plans to go to Lviv and Vinnytsia. He is convinced that the authorities do not want him to move around the country and be interviewed by Ukrainian TV channels.